Cycling offers many health benefits to the millions of people who take part in this form of exercise each year. Whether you are a novice or an Olympic level athlete, you can realize great benefits to your health through cycling. Cycling is one of the easiest ways that a person can exercise. You can ride in almost any weather, in just about any location and you do not have to spend a small fortune to do so. Even if it has been years or decades since you last put your feet to the pedals, there is no need to worry. Your body has ingrained the process of riding a bike into your memory so you do not need to relearn how to enjoy this activity. Contrary to popular belief, riding a bike does not just work the legs. It also strengthens the abdominal core and glutes, tones the arms and promotes overall fitness. Cycling is truly a holistic sport. Over time, cycling tones the muscles, especially those in the legs. Because cycling acts gradually on the muscles, there is less of a risk of strain or injury compared to other forms of exercise. The improved muscle tone is noticeable in months in common trouble spots such as the thighs and buttocks. The toned muscles also boost the mobility of joints such as the hips and knees, which can reduce the pain and problems associated with health conditions such as arthritis as we age. Many people find that they can ride a bike for much longer of a duration of time than they can perform other exercises. This increased stamina is a result of improved muscular performance. The pleasure of cycling is so significant that you might not even notice that you have been biking for hours. 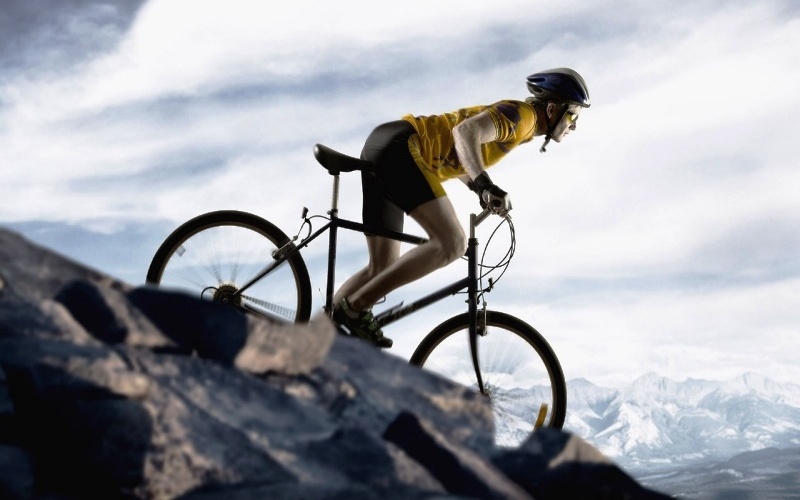 Cycling is an optimal form of cardiovascular exercise. A moderate intensity bike ride increases your heart rate and brings it into a zone that improves its strength. The working of large muscle groups helps get the blood flowing throughout the entire body. Riding a bike can also reduce stress, which decreases inflammation in the body and further contributes to a healthy heart. Cycling can also help lower blood pressure and the resting heart rate, which all come together to boost the heart’s health. Let’s face it, many of us are looking to lose a pound or even more. A steady pace on the bike could burn 300 calories or more in an hour of riding. As your body is losing fat, it is gaining muscle as a result of cycling. The increased muscle mass on your body burns even more calories than an equivalent amount of fat could. So, you can burn calories even when resting after that long ride. Regular cycling could reduce your risk of developing a chronic disease such as Type 2 diabetes or cancer. In people who already have diabetes, regular exercise such as cycling can help improve the body’s responsiveness to insulin and can help with improving the control of blood sugar levels. Avoidance of diabetes is especially important for pregnant women, as diabetes during pregnancy can affect the long-term health of the newborn as well.